Thursday means yet another cheat day. With Iron Fist having recovered from his man flu (and also removing his wrist brace so he can no longer be identified as obviously as Iron Fist), we decided to do what we had planned but not been able to do last week, i.e. 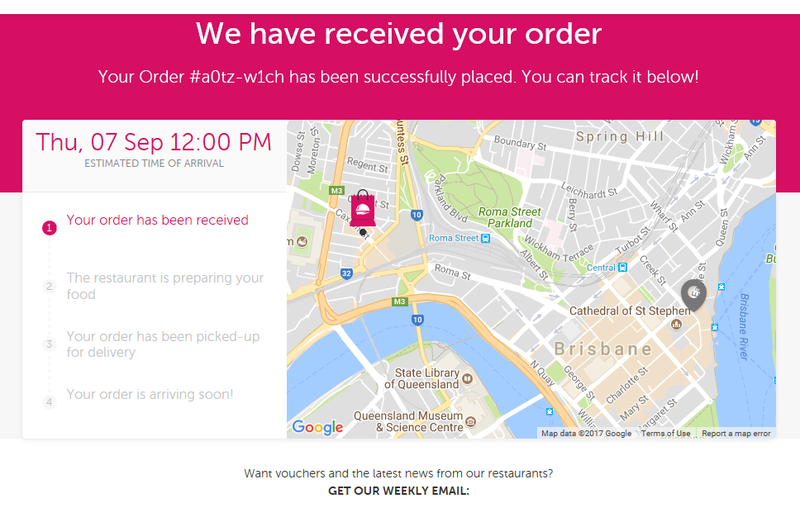 Fritzenberger delivered through foodora. Looking through the selection, I was drawn to of course, their burger selection, which contained, beef, chicken and vegetarian options. 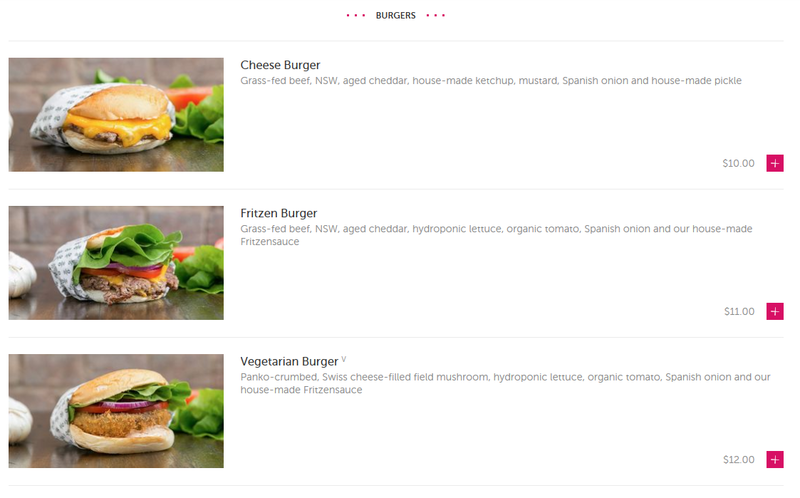 Having said that, both Iron Fist and I settled on the signature Fritzen Burger to see how good it would be. 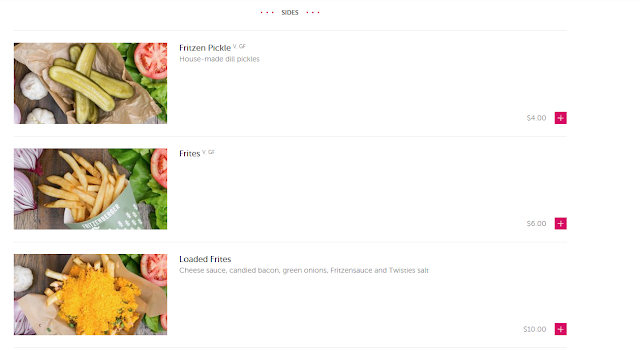 Sides on offer included two variations of fries as well as fritzen pickes (Iron Fist hates pickles with a passion). 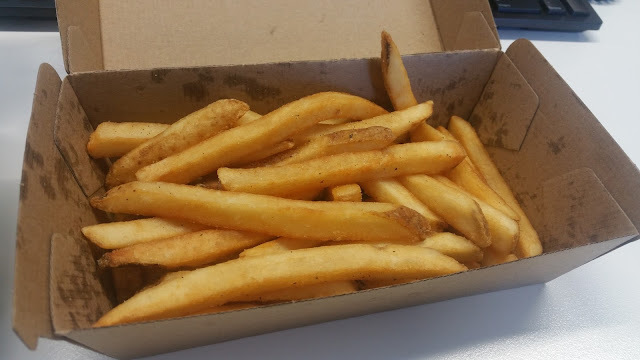 Not wanting to overdo it, despite or cravings for the loaded fries, we both settled on some basic fries. Selecting fries came with three options for salt. Iron fist ordered the chicken salt whereas I went for garlic salt. 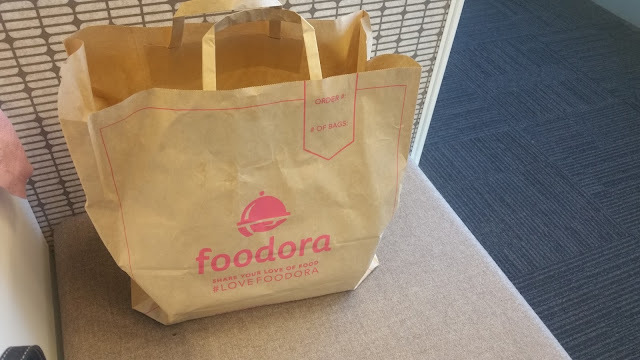 Being further away from work than Mos Burger was, the earliest delivery time I could get was 12PM, but at least we didn't need to go all the way out to Paddington for it! Like Mos Burger last week, it arrived shortly before my expected time. The delivery guy was really professional and friendly, which I appreciated. 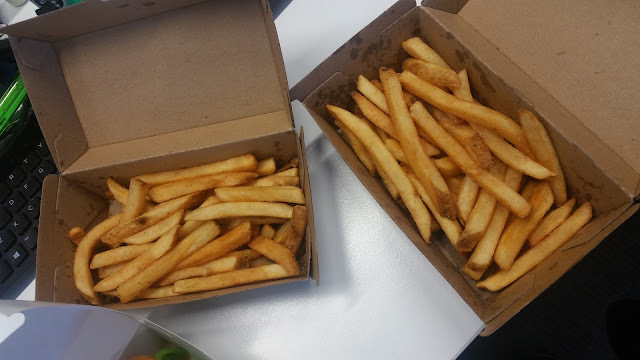 As expected, our bag of goodies contained two burgers and two chips. 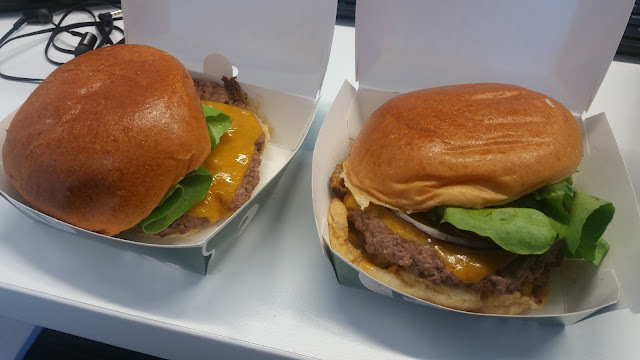 Having seen their online photos, I had thought that their burgers would come in paper wrapping, but a paper box was fine too. 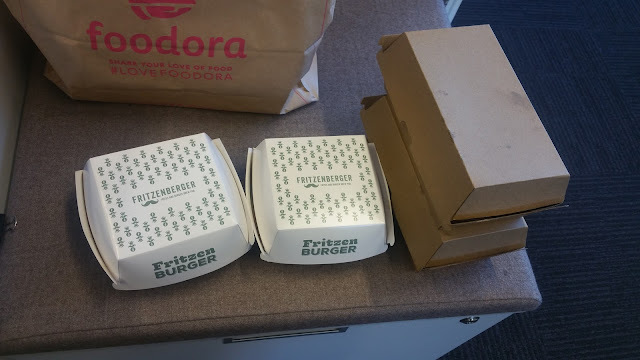 As mentioned, we both ordered fritzen burgers. Iron Fist ordered his Fritzen burger without any alterations, and the photo looked quite good, so I'll post it even though mine was essentially the same. 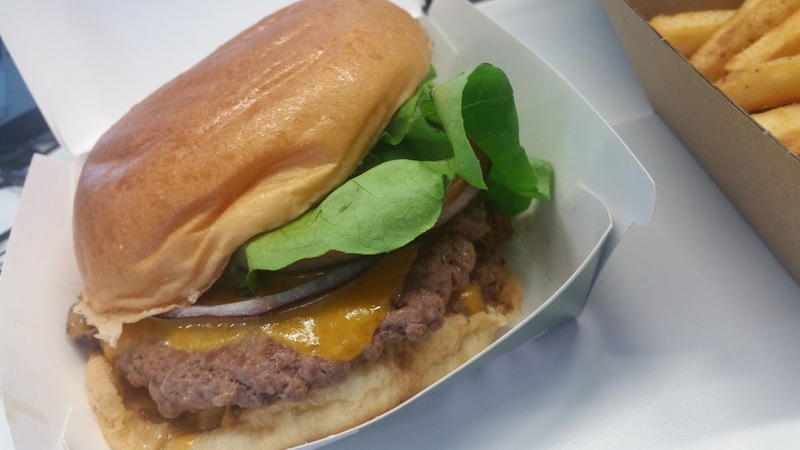 This was my fritzen burger, compared to Iron Fist's mine had an extra patty (I just needed the extra encouragement that day). I really liked the super soft bun, which was fluffy and thankfully didn't have sesame. 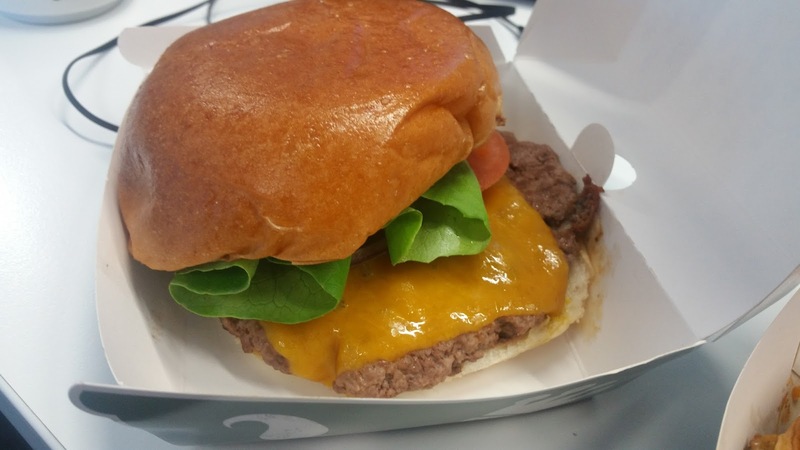 The patty was very moist and tasted a bit like it was steamed (perhaps from the long ride into the city), but I would have preferred it to be a bit more grilled, although the cheese was already deliciously melty. Despite the melted cheese, I did appreciate that the salad wasn't wilted, which is quite a feat. Our chips came in large cardboard boxes. Whilst they weren't cheap, the quantity was quite generous. 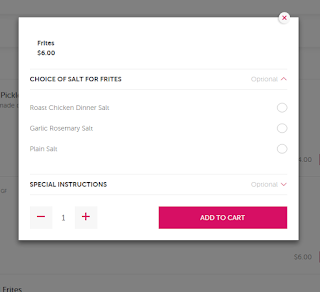 What I do think needs an improvement though is the fact that our boxes were unmarked, therefore creating a bit of confusion when we tried to sort out which was chicken salt and which was garlic salt. Thankfully with my love of garlic, this wasn't hard to resolve. My chips weren't overly crunchy, in part due to the long ride here which no doubt steamed them a bit, but at least they weren't soggy. The garlic could have been stronger in my opinion, but the salt could have been slightly reduced. By the time I got to the end of the box, the last couple of chips were unbelievably salty and couldn't be eaten, which was a shame.